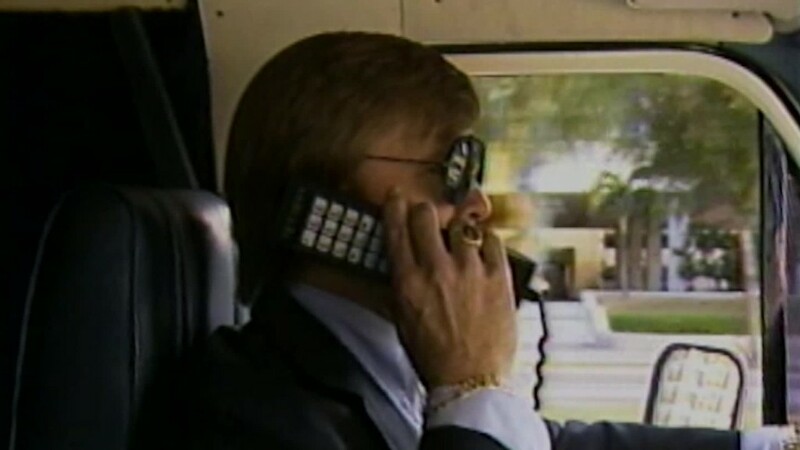 Marty Cooper, who built the first handheld cell phone, says his invention has a glaring flaw: You have to keep charging its battery. "Keeping your phone charger around is a real annoyance," Cooper told CNNMoney in an interview. "And I think it's going to be an increasing problem." Ensuring that your phone doesn't run out of juice is enough of a pain. But imagine the not-too-distant future when our bodies are covered with different connected devices -- watches, glasses and clothing -- all of which will need to be charged. "You won't want to take all them off and plug them in," Cooper said. "That's why they ought to be charging all the time." There are many companies that are attempting to do just that -- keep your wireless gadgets charged all the time. Each has a different kind of solution. Wi-Charge thinks lasers should beam signals from ceiling fixtures to cell phones. U-Beam has bet on powering phones with sound waves. But Cooper believes that the winning technology will come from Energous, which wants to charge your cell phone using radio frequencies. Cooper sits on Energous' board. Energous' promise is compelling: By converting radio waves into battery-replenishing power, wireless gadgets equipped with special receivers can literally pull energy right out of the air, enabling them to charge while sitting in your purse, pocket, or wherever they are. It's not science fiction. 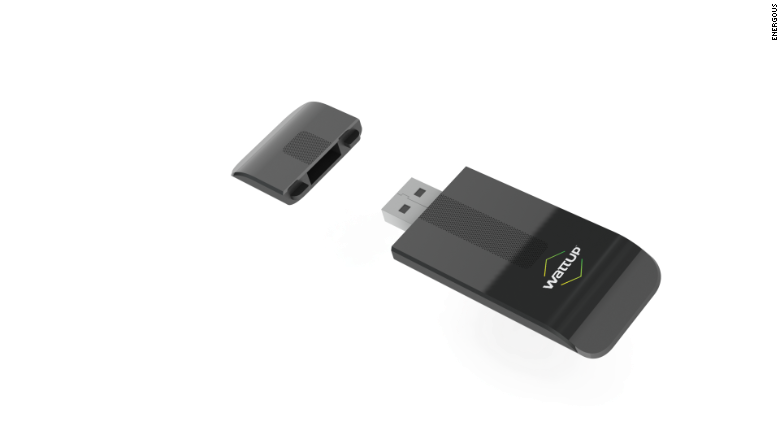 Energous (WATT) expects that it will soon receive FCC approval for its miniature transmitter, which can power specially equipped gadgets. The Miniature WattUp transmitter can power hearing aids, medical devices and other tiny wireless devices. There are limitations to the technology that the FCC approved: It only includes very small gadgets that have embedded chips that are compatible with Energous' technology. 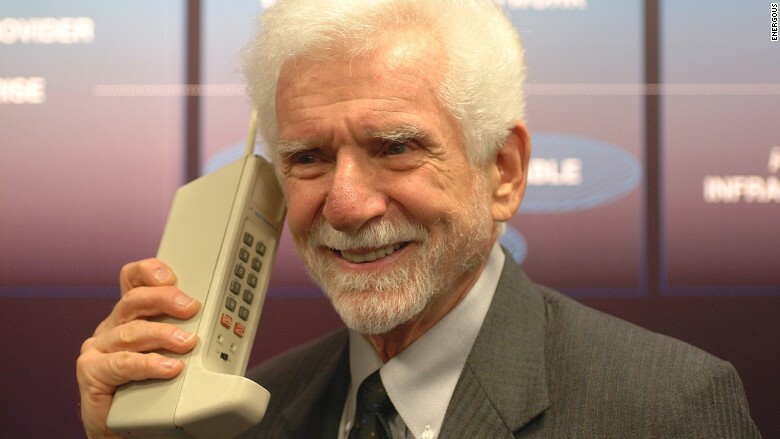 And those gadgets need to be in direct contact with the Miniature WattUp transmitter. But it's also a significant milestone. "Energous is one large step closer to fulfilling its vision of bringing wire-free charging to consumers," said Cooper. Energous CEO Steve Rizzone called the FCC approval and the eventual launch of Energous-compatible consumer products later this year the "first phase." Next, Energous hopes to launch technology that can charge small devices at a slight distance -- a few inches. Rizzone told CNNMoney that he expects medium-sized and large-scale transmitters will be released by 2017 or 2018. Achieving Energous' vision won't be easy. The FCC will want to ensure that the technology doesn't interfere with other wireless gadgets, but its rules were written before the advent of wireless charging. Cooper said the company is tasked with convincing the FCC to interpret the rules in a way that will allow Energous to operate. That's going to take time. And FCC clearance is just one hurdle. Getting manufacturers to adopt and include the technology in their products is another big one. Energous has had some early success, but it's a long way from being able to charge every mobile device you own. Related: Are 16 tiny cameras better than one? Even if Energous can get its technology inside consumer gadgets, the transmitters that charge them will also need to be widely deployed for the technology to be useful. Meanwhile, rival technologies might ultimately win out in the wireless charging battle. If wireless charging takes off, there could be an ensuing VHS/Betamax-style format war that Energous ultimately loses. But Cooper said he's backed the right horse. Energous has been at it the longest, it has commitments from strategic partners, and it uses a technology that can charge at longer distances than its competitors. "Energous is the only convenient way to do it," Cooper said. "It won't involve any active participation by the customer, and the best technology is invisible."